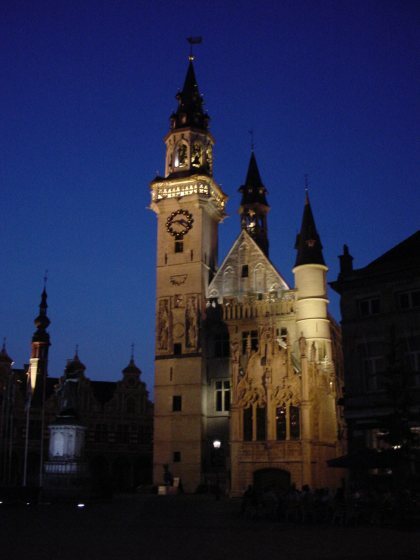 Coming from Brussels: Take exit 19 on motorway AALST E40/A10 and follow directions for Dendermonde. At the third traffic lights turn right towards Aalst. First street after the next traffic light, turn left = Koolstraat. The Koolstraat automatically becomes Dirk Martensstraat after the traffic lights. You will find our B & B on the left after about 300m. With your back to the station, take the second street at your right side= Vooruitgangstraat After 70 meters, turn around the little park (AstridPlein) = Veldstraat You reach a large intersection = Zeshoek, you cross the street = Dirk Martensstraat. After 50 meters on your right side you've arrived.